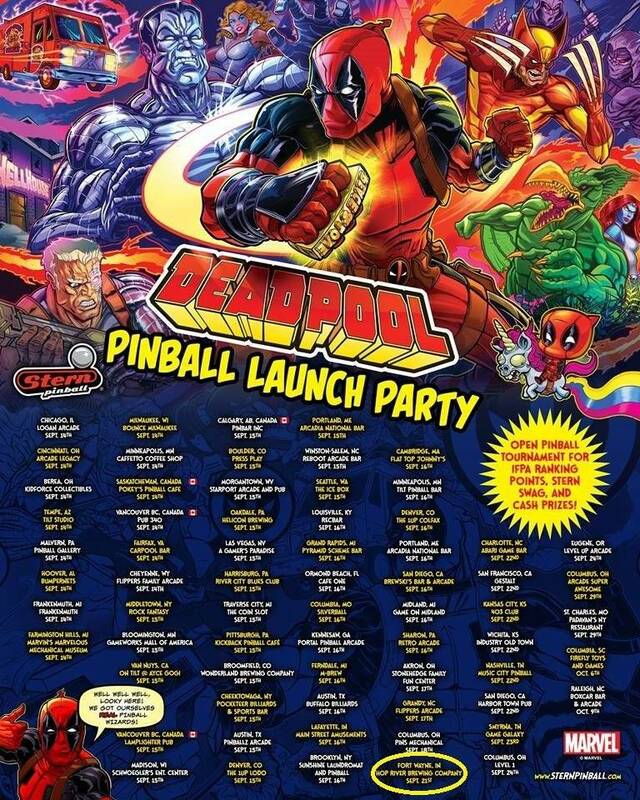 Hop River Brewing Company and FWPinball.com are hosting a party to celebrate the release of Stern’s newest pinball machine, Marvel Deadpool! In addition to playing Sterns newest machine and drinking award winning beer, you’ll have an opportunity to meet the man behind the artwork. Zombie Yeti has rose to the very top of the Pinball art world in a short amount of time with universally lauded art packages on Ghostbuster and Iron Maiden. An IFPA tournament will be running throughout the evening with open qualifying from 4-8. At precisely 8pm, the top 8 qualifiers will participate in a double elimination tournament with the top 4 winning prizes. $6 to enter, one dollar will cover your IFPA fee and the remaining $5 will be added to the prize pool.